Whether you already share your experiences using DroidBOX® hardware, or have only recently purchased one but are impressed so far, DroidBOX®'s Affiliate scheme could make a lot of sense for you. Your friends may already come to you looking for guidance through what can be appear to be a complex looking marketplace to complete newcomers. If you're happy with DroidBOX®, why not let people know? See the terms and conditions for the official legal version, but in short if you generate a sale for us then we'll pass on a saving to your friend, and you will earn money. Communication - whether it be with friends at the pub, in your own website or in your favourite forum, a way to talk to others is essential. A DroidBOX® device - whilst not an absolute requirement for our affiliates, being able to speak from experience helps others to understand your passion. Friends or colleagues who want 5% of their purchase. Desire to earn 5% cash (PayPal) from each order made thanks to your affiliate link! Our aim is to make streaming and gaming available to everyone. We believe that the TV and Gaming industry as it stands will see far-reaching changes in the nearest future. With your co-operation we aim to deliver the best user experience possible, through offering high-quality hardware combined with high quality applications and customer service. We commit to constantly improving our products by bringing new functions and building on the existing ones. We feel strongly enough about Android devices and the technologies used that we want to share our beliefs with everyone. Some of our staff were originally customers. They liked the device, company and image enough that they became interested in working for us. It is this sort of reaction to DroidBOX® encounters that we hope you'll help to pass on. Have a proper read through of our terms and conditions. Make sure you understand the various clauses, and let us know if you need further clarity on a topic. Apart from that, if you're ready to start saving money on your next purchase, you're good to go! 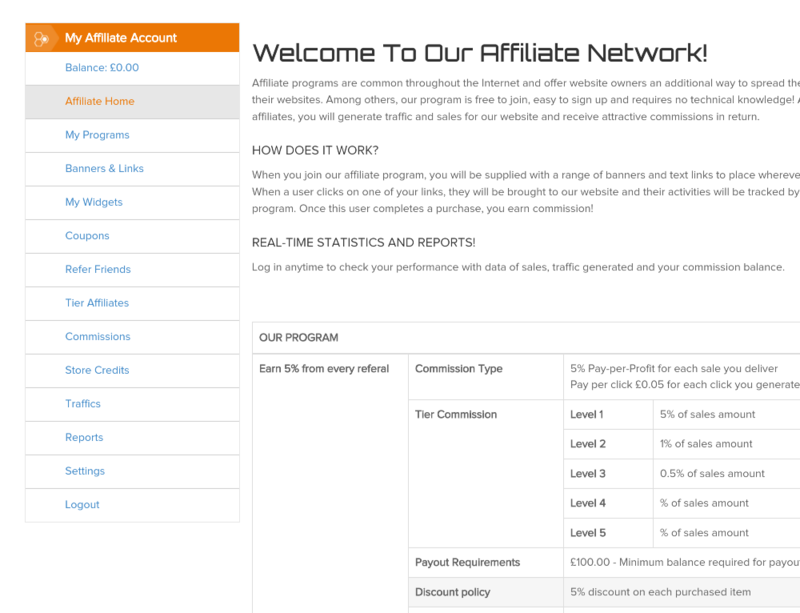 Your 5% affiliate earning will be offset by any returns and cancellations of orders. We reserve the right to adjust discounts at any time, but such changes will not affect discounts already earned from sales made prior to the date of adjustment. No earnings will be paid to you for product sales made after the date on which this agreement is terminated by either party for any reason. Upon termination of the relationship by either party, the affiliate may be required to remove all affiliate links from their website, newsletters, email correspondence or other locations. You do not need to have a website in order to participate. 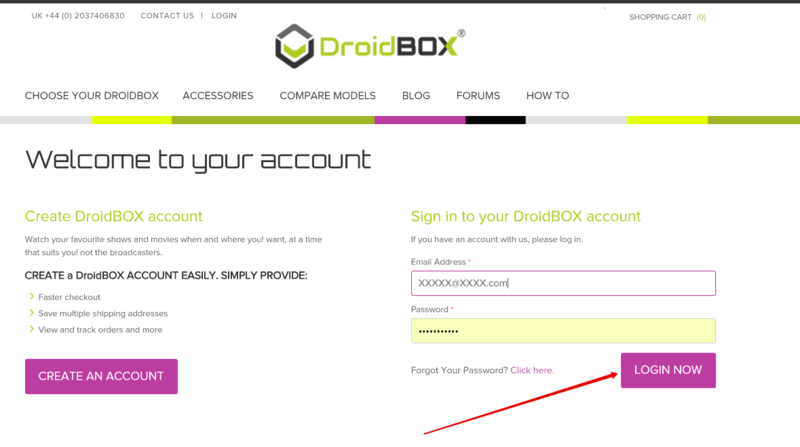 If you do have your own website which you'll use to promote DroidBOX®, please include the URL in your application. Applications are approved instantly, so there is no waiting for you to start promoting and earning. 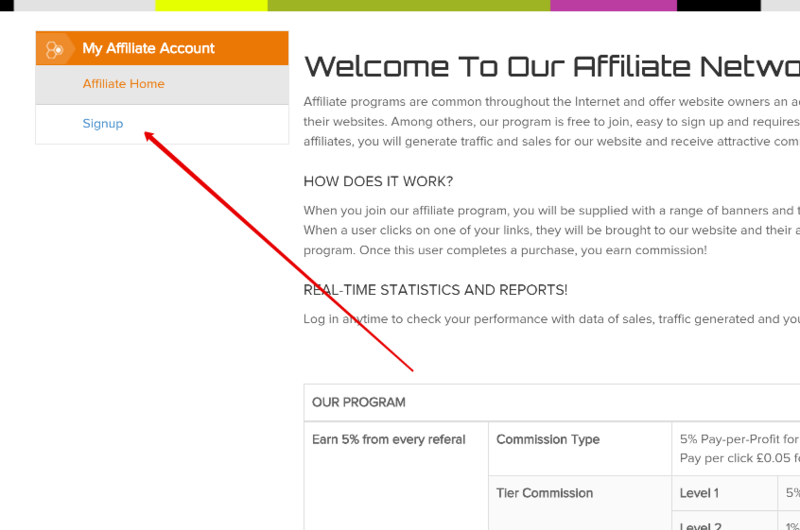 Once your application is completed, you will be sent an email containing your affiliate link and you will have access to your affiliate account containing various banners and graphics for your use. By signing up as an affiliate with DroidBOX® you agree to accept our Affiliate Agreement and to be bound by all its terms and rules. We will reserve the right to block or close any account of an affiliate who is found to be in violation of these terms. 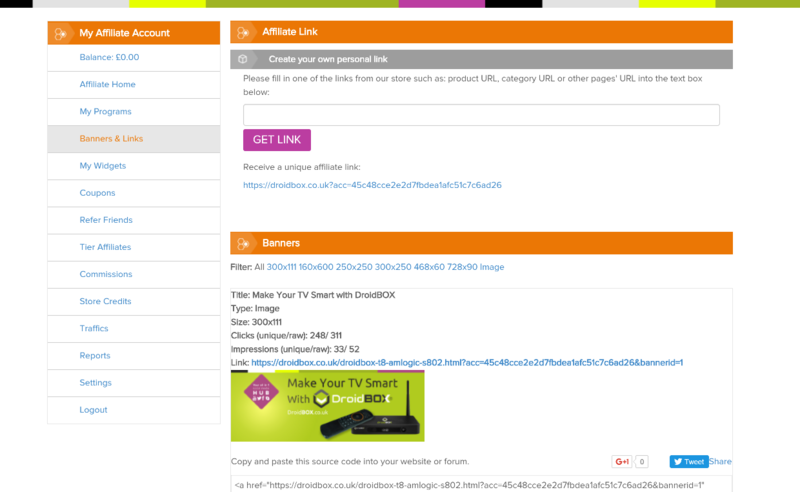 Please read the entire affiliate agreement carefully prior to signing up! (You can also proceed to the registration now and read the affiliate agreement while signing up - you will have to confirm that you read and understood the affiliate agreement). 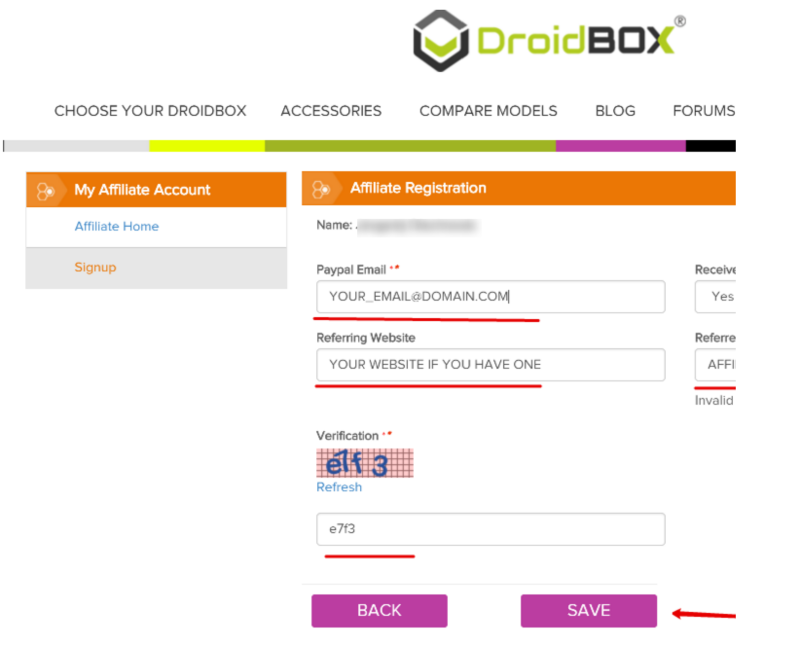 Enter your email, Your website's address (if you have one) and your affiliate's email (if any one has referred you to DroidBOX® Affiliate programme) and then press Save. Share the coupon codes with your friends and they can use them during checkout and it will give them 5% OFF the order, and earn 5% of the order for yourself! 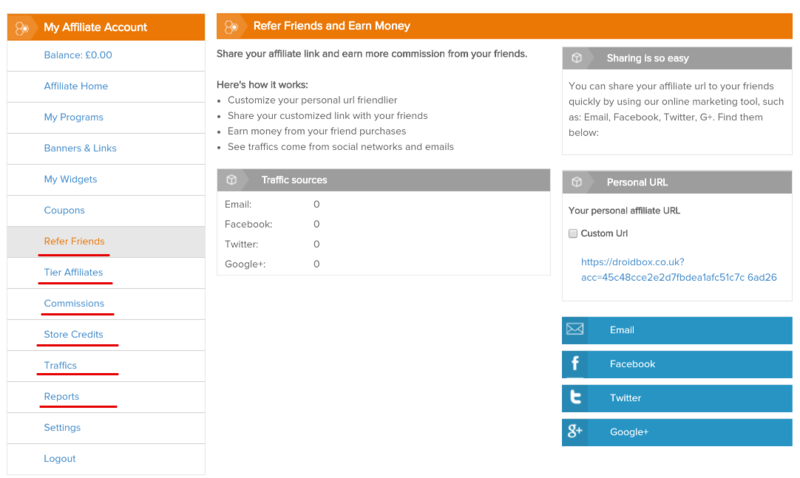 As well you can refer your friends via email and social networks. 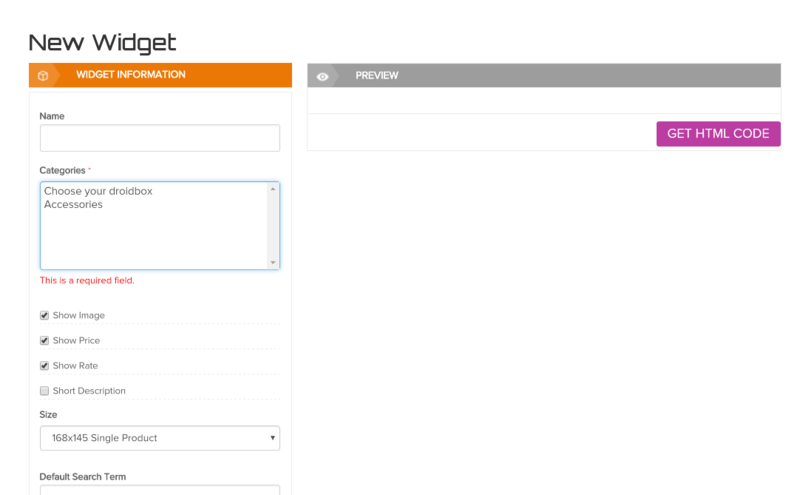 You can check your tier affiliates (YES we pay for up to TIER 2 Affiliates! ). 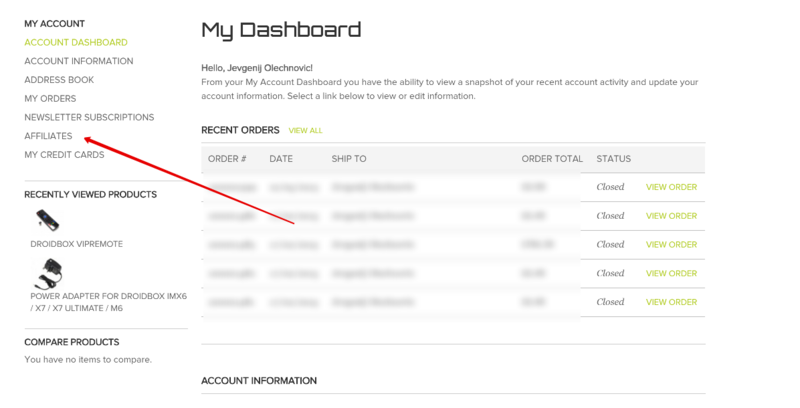 Check your commissions, your store credits, view reports and many more! So don't hesitate and join our Affiliate network programme and you won't regret!